I’ve accepted my fate. I’m not even worrying about it anymore. The gods seem to have it out for me. No need fighting it. No need getting angry. It’s out of my hands. Arriving early somewhere does me no good. Something always goes wrong or there’s a delay of some sort. For instance, a friend of mine and I decided to have supper at a popular all-you-can-eat buffet. We went to a movie beforehand and then hopped in our respective vehicles to head across town to the restaurant. So far, so good. I got there before him. Since we’d attended a matinee, it was still quite early – just after 5 p.m., as a matter of fact. We wanted to avoid the throngs of early-dining seniors and tourists who would most certainly be arriving by the dozens at any moment. I sat down in the restaurant’s lobby and waited. Then I waited some more. I really couldn’t go in before him because he’d likely never find me and I’d planned on treating him anyway. At first, the crowd seemed pretty reasonable. I noticed a few people wander in – a mixture of seniors and tourists. All were headed toward the restaurant. I was trying to avoid having to wait in line, not that it would be the end of the world, but why wait in line when you don’t have to? I waited some more – and some more again. What I didn’t know was that my friend got caught up on an urgent telephone call on the way over to the restaurant. Not the end of the world, but I was wondering where he was and was growing impatient. I knew it would be happening at any moment. What’s ‘it’ you ask? Well, ‘it’ is the internal radar of every senior and tourist that tends to go off like dynamite and send an invisible signal across the city that it’s time for supper. You know how birds tend to migrate in groups? You’ve seen those big flocks flying overhead, right? You wonder how they know when and where to fly, right? Well, that instinct to migrate also exists in seniors and tourists – except that it’s the instinct to head to the all-you-can-eat buffet on a weekend. Well, now, by then I was just beside myself. We could have had a sweet spot at the front of the line. We would have watched the restaurant owners weep as they saw both of us arrive. We’re both big guys. Whenever we arrive together at an all-you-can-eat buffet, the owners usually beg us to leave them a few crumbs for the others. We just tell them to hide the children and pets for their own safety and keep everything nice and fresh, especially the expensive stuff. When my friend eventually arrived and we got a table, a lot of the good stuff was already picked over and we didn’t get our jollies making the owners cry. They were already crying. I don’t know how all-you-can-eat buffets stay in business. If I owned a restaurant that offered an all-you-can-eat buffet and I saw my friend and I walk in, I’d just point a loaded crossbow at them and say, “How hungry are you? Can you outrun this?” Twang! I’m usually never that hungry. Good way to learn how to run fast, though. Whenever I’m in line at the cashier and another one opens up next to me, I make a point of ensuring the person in front of me gets the opportunity to go there first. Often, they’re very grateful and will move ahead to the new line or will simply thank me and head over. By the time I’m done being Mother Teresa, however, the person in back of me has skipped over everyone entirely and ran over to the new line. Some good cashiers will put the line-jumper in their place and politely put me to the front, while at other times (translation: most of the time), they’ll simply say nothing and leave it up to me to have a conniption. I never do. I want to, but I never do. Basically, if you’re in that much of a rush and don’t have the common decency to wait for others to go before you, then fill your boots. That doesn’t stop me from imagining you getting into your car and the entire thing exploding into a fireball like something you’d see on The Sopranos, but in the end, it’s no big deal. Karma will get you somehow. If you’re like me and cursed with permanently finding yourself in the slowest line no matter where you go, it’s just better to accept your fate. There’s not much you can do about it. Besides, it’s kind of fun imagining how the person who cut in line at the just-opened cashier will surely meet their imminent demise. Kaboom! I often wonder what career I would have chosen had I not gone to journalism school and then made my way into the communications field. I love my career and am in it for the long haul, but I often wonder what else I could have done with my life. Lately, I’m thinking that I should have been a lawyer.I would defend the downtrodden and get justice for those who’ve been wronged. In court, I would be a force to be reckoned with. Judges would defer to me, surely realizing that my superior legal intellect far surpasses their own knowledge. I would yell at them and make them rule in my client’s favour every time. They would quake in fear. That happens in real life, right? No, probably not. A boy can dream, though. The couple of times I’ve been in a real courtroom have been pretty intimidating, actually. The lawyers were very reverential to the judge, as they should be. I guess all that talking back to the bench only happens on television. I’m not sure it would end well if they tried it. Maybe a personal injury lawyer is more up my alley? ‘So you stubbed your toe at the mall? Well, guess what! Now you own the mall!’ If I were your lawyer, the settlement would be nothing less. Of course, there would be the small matter of my fee. Does $1 billion sound fair? Yeah, there’d be tax on that, too. It’s always the taxes that get you. And don’t forget the $2.50 for those photocopies. Can’t forget the photocopies. That happens every day in the legal field, right? Am I delusional? Well, it wouldn’t be the first time. I’d probably get my own primetime network television show, too. 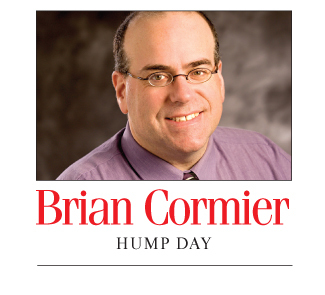 Dr. Cormier: Miracle Worker. Every Thursday at 9 p.m. Watch as the good doctor brings a package of hamburger back to life with his bare hands. A couple of zaps from the defibrillator and the next thing you know, that package of hamburger is back in the field eating grass and mooing contentedly. Not the prettiest cow on the farm, though. Looks a bit rough around the edges. If I were in the hospital, the first thing I’d ask the doctor is if they’ve ever seen anyone in worse condition than me. Now, normally, that answer is always yes no matter what’s wrong with you. Every doctor would have their own horror story no matter in which field they practise. The one answer you don’t want to hear from a doctor after asking if they’ve seen anyone worse is, ‘Oh, you’re pretty bad.’ That’s not very comforting and is pretty much a polite way of saying you hit the jackpot in the ‘worst they’ve ever seen’ category. I’m not sure I’d be able to not react, so perhaps a career in the medical field is not for me. The last thing someone with a bad sunburn wants to experience is a confetti cannon going off in their room and a line Rockette dancers doing their trademark high kick after being told they have the worst sunburn the hospital has ever seen. Not great bedside manner, although seeing the Rockettes in person would be pretty cool. And who hasn’t dreamed of being a singing superstar? I think I’d be good at that. Perform concerts in every city and sing the same songs every night? How hard can that be? Well, I’d have to have songs people want to hear first, I suppose. That could take some work. And even if I managed to do that, wouldn’t singing the same songs all the time drive me nuts? I always feel sorry for singers with long careers who try to perform songs from their new albums at concerts when in reality everyone is just sitting there waiting to hear their old favourites. ‘Shut up and sing The Green Green Grass of Albert County!’ the crowd would yell when I would just want to sing my latest hit, I Used the Bathroom in the Middle of the Night and When I Came Back, My Baby Was Gone. I often wonder about those one-hit wonder singers who are only known for that one colossal hit. It must be the definition of hell to sing that same song over and over and over for 40 or 50 years. I’ve seen a couple of these singers performing at shows. Their eyes were dead like they were just waiting for an aneurysm to take them into the sweet embrace of death right there on stage. How about a baker? No, I wouldn’t trust myself around all that frosting They’d find me a week later unconscious, naked and covered in icing sugar in a ditch somewhere. It would be like putting a dingo in charge of a daycare. Maybe I should just stick with what I know – at least until I get used to raking in the millions that I’m making now Yup, just until I get used to that. 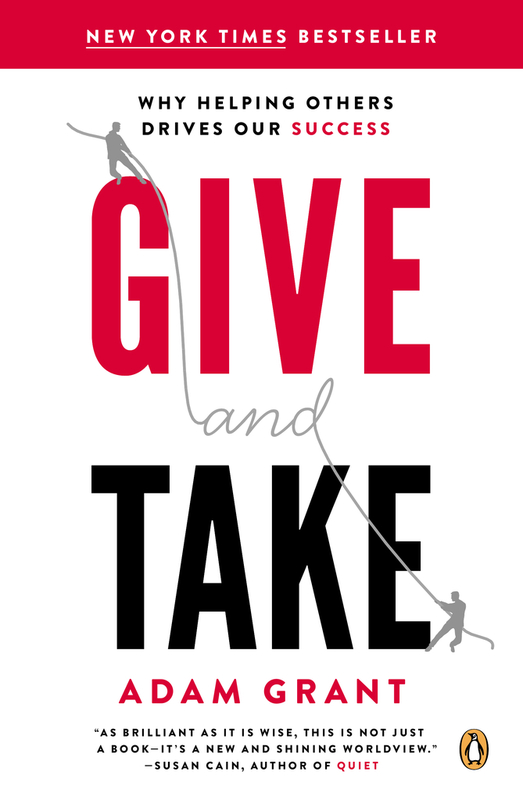 This week’s giveaway is Give and Take by Adam Grant. The deadline for entries is Sunday, July 27, at noon. To enter your name in the contest, follow the instructions in this week’s newsletter. To subscribe, please fill out the form in the right-hand column of my website. The winner will be chosen by random draw. Congratulations to Cécile LeBlanc for winning last week’s giveaway, a copy of The Happiness Advantage: The Seven Principles of Positive Psychology That Fuel Success and Performance at Work by Shawn Achor. UPDATE: The winner of Give and Take by Adam Grant is Sophie Paulin. Congratulations! 100 Men Who Care of Greater Moncton is calling on all willing and able men to join their movement and attend their upcoming inaugural meeting. 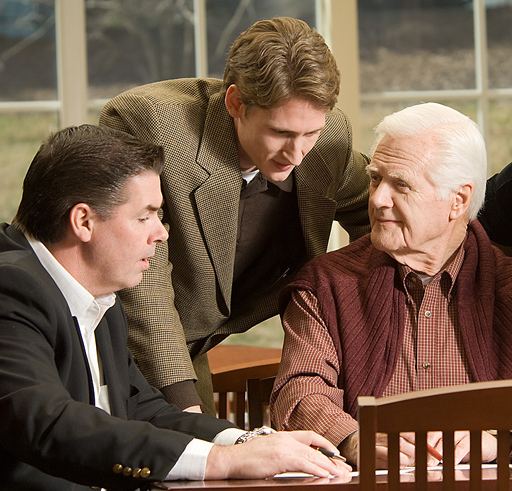 The men’s charitable group provides funds to deserving non-profit organizations in the local community. The charity organization involves 100+ men who will each bring a blank $100 cheque to a group meeting four times per year. Three different local charities will present during each meeting, one will be selected as the recipient, and that charity will then walk away with a total donation of $10,000+. Each member’s $400 annual commitment translates into $40,000+ for four local charities. One hundred per cent of all donations go directly to the awarded charity and all donations are tax deductible. The initiative, under the leadership of Troy Akerley and David Hawkins, was inspired by the newly launched local chapter of 100 Women Who Care of Greater Moncton. Interested individuals should visit www.100menmoncton.com to learn about and join the group. The first quarterly meeting of 100 Men Who Care of Greater Moncton will be hosted by the Ramada Crystal Palace Convention Centre in Dieppe on Tuesday, Aug. 26, at 5:30 p.m. Doors open at 5 p.m. for meet and greet. This Greater Moncton group is the latest addition to the 100 Men and 100 Women Who Care movements that have seen chapters sprouting up in many cities in North America over the last 10 years. For more information, contact Jane Harwood at 506-378-0177 or jane@xyzstratcom.ca. TEDxMoncton is calling for speakers and performers for the upcoming TEDx event, Connect the Dots. The event will be open to the public and will be held at Théâtre l’Escaouette on Saturday, October 4. TEDxMoncton is searching for engaging and passionate presenters who have ideas or projects that will be new to audience members. The theme is Connect the Dots, and TEDx Moncton wants to know what that means to you. TEDx Moncton is also looking to connect with performers who would like to share their talents on the TEDxMoncton stage. The organizing committee wants to hear from interested candidates — singers, dancers, ventriloquists, magicians, etc. Those interested should visit www.tedxmoncton.com and apply to speak or perform. Recommendations from the public are also being accepted for speakers and performers. In the spirit of ideas worth spreading, TEDx is a program of local, self-organized events that bring people together to share a TED-like experience. At a TEDx event, TEDTalk videos and live speakers combine to spark a deep discussion and connection in a small group. These local, self-organized events are branded TEDx, where x = independently organized TED event. The TED conference provides general guidance for the TEDx program, but individual TEDx events are self-organized. TED is a nonprofit organization devoted to ideas worth spreading. Started as a four-day conference in California almost 30 years ago, TED has grown to support its mission with multiple initiatives. The two annual TED conferences invite the world’s leading thinkers and doers to speak for 18 minutes on a diverse mix of topics. Many of these talks are then made available for free at TED.com. TED speakers have included Bill Gates, Jane Goodall, Elizabeth Gilbert, Sir Richard Branson, Nandan Nilekani, Philippe Starck, Ngozi Okonjo-Iweala, Isabel Allende and former British prime minister Gordon Brown. The TED2014 Conference takes place in Vancouver along with the TEDActive simulcast in neighbouring Whistler. TEDGlobal 2014 will be held in Rio de Janeiro, Brazil. For more information on TEDxMoncton, contact Stephanie Nelson, Executive Director, at 506-875-8530 or tedxmoncton@gmail.com.